The Silclear stand ready for action just before the doors open to Livestock 2016. 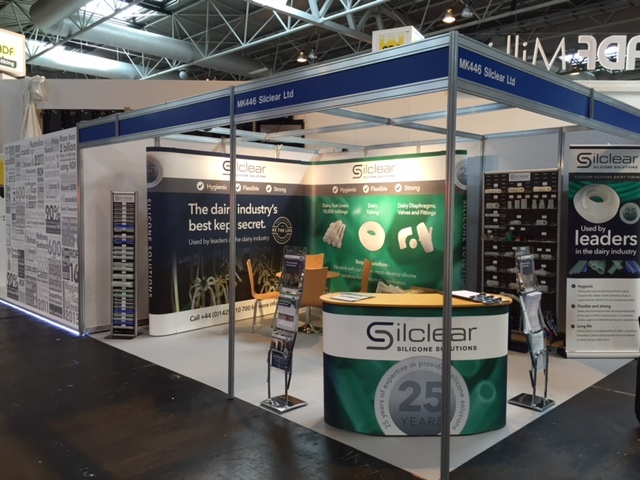 Although the show was quieter than previous years, Silclear had a successful show at the NEC in Birmingham with interest in both silicone tubing and liners. The event proved once again that it is not only a good forum to meet potential new customers but to catch up with existing ones as well.